← What’s “Enable Plugin” ? 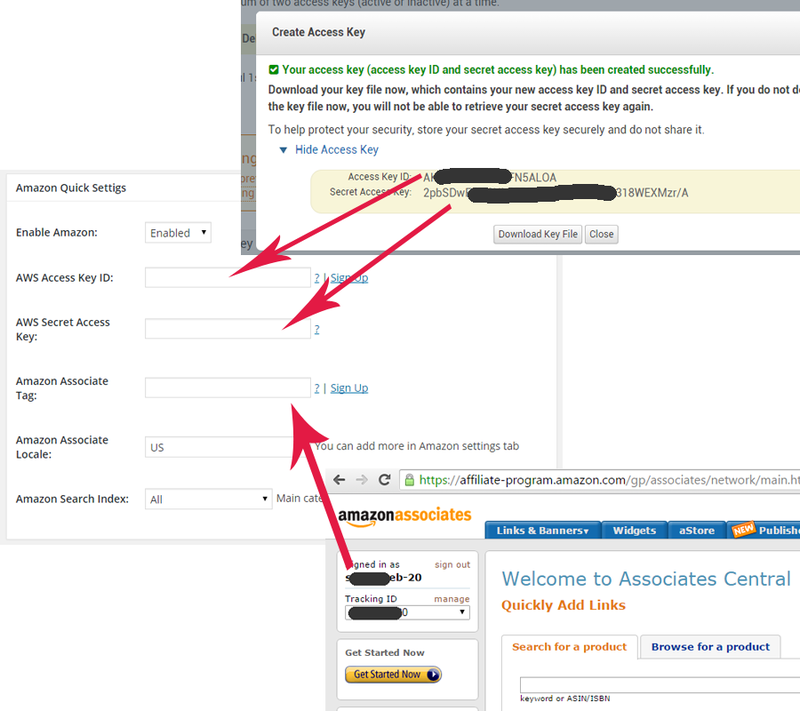 What’s AWS Access Key Id (Amazon Key Id), AWS Secret Access Key (Amazon Access Key) and Amazon Associate Tag? In order to use the plugin you will need to have two accounts: Amazon Associates account and Product Advertising API account. Both are free to register. If you already have your affiliate account set up login and in the top left screen you will see your Associate Tag. For US market it usually looks like this someword-20. See screenshots below for guidance. Some time ago Amazon introduced a new service for managing credentials called IAM (short for Identity and Access Management). 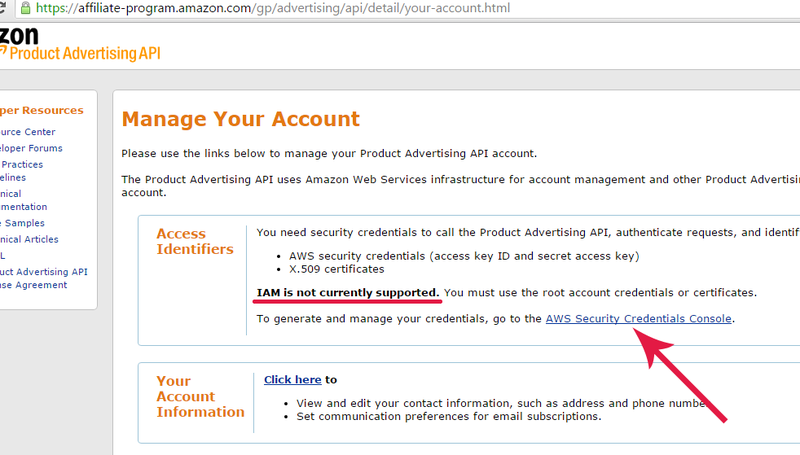 IAM is not currently supported for Product Advertising API. You must use the root account credentials. 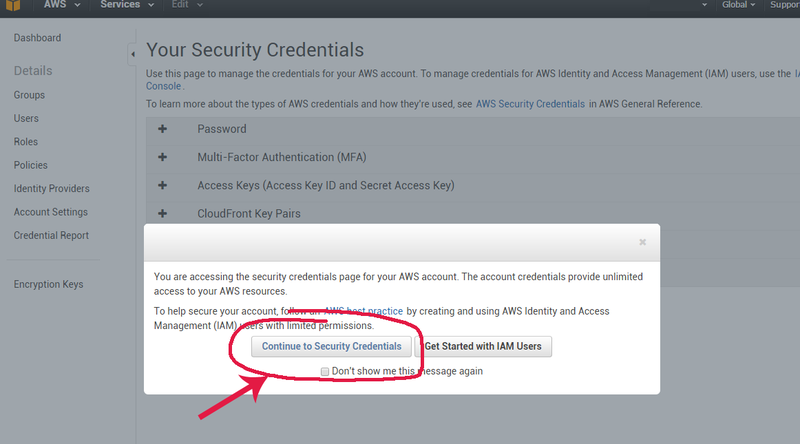 Use the link in your dashboard to access your AWS keys. When you first login to your AWS Security Credentials Console you will be presented with a message. You DON NOT need to create IAM User. Click the button “Continue to Security Credentials”. 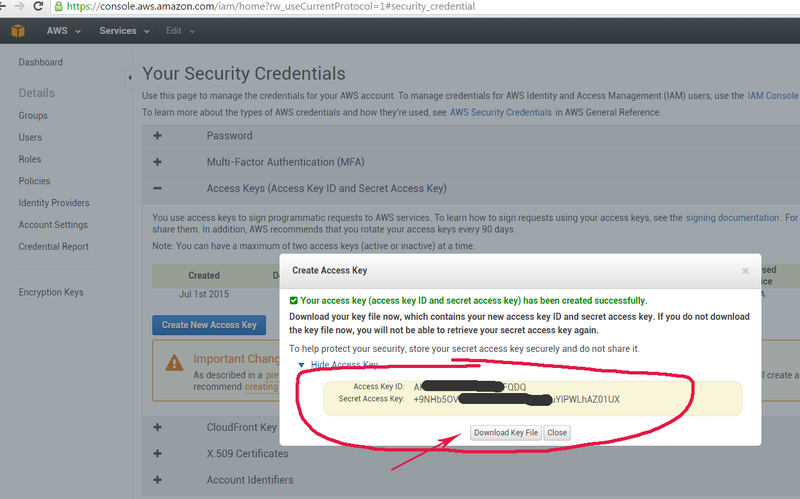 You can only see your secret access keys for your AWS root account one time when you create it. Click “Access Keys (Access Key ID and Secret Access Key)” tab to expand it. Then click “Create New Access Key” button. Copy your Access Key ID and Secret Access Key. Or download Key File using the button in the pop up. Use the diagram below to figure out where to place each credential in your plugin settings.